LUNATECS serve GEAR UP Summer of 2017. 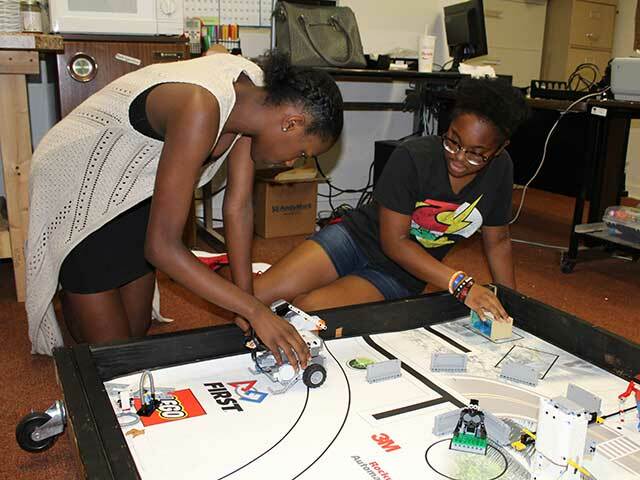 South Jersey Robotics teams are not just about building robots. They are also about learning how to give back, how to serve people in their communities, how to help others along the pathway to a better life. The students on FRC Team 316 the LUNATECS are dedicated to serving others in their communities. If you had visited the LUNATECS workshop at Salem Community College in the summer of 2017, you would have found a number of team members working with middle school and high school students from local schools participating in the college’s GEAR UP NJ program. Both GEAR UP and SJR seek to promote STEM ((Science, Technology, Engineering, and Math) in some of the poorest counties in NJ, offering an opportunity to these students to learn about careers and opportunities they might not otherwise discover. 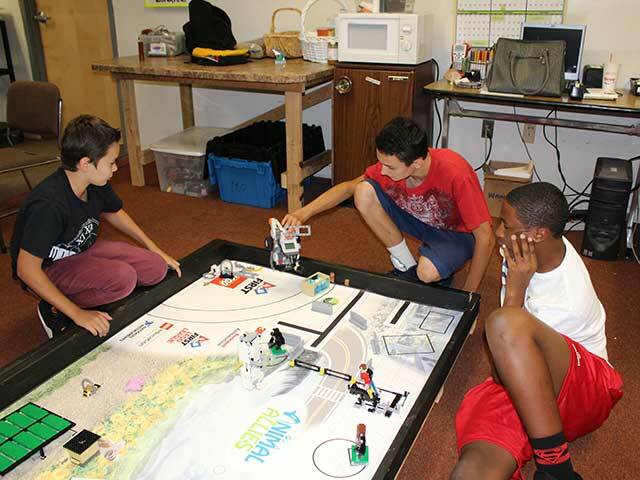 Two days a week, during the summer camp, several students from the LUNATECS came in to teach about building robots and programming. They worked together as teams. They had both failures and successes with their designs which were good learning experiences for all the students. LUNATECS Qualify to Attend the FIRST Championship in Detroit!